According to the EPA, “Mercury exposure at high levels can harm the brain, heart, kidneys, lungs, and immune system of people of all ages.” A potent toxin, mercury is especially dangerous to children and developing fetuses. For more information about mercury from the EPA, click here. EPA cites coal-burning power plants as the leading source of mercury air emissions, which end up in the tissue of fish people eat. 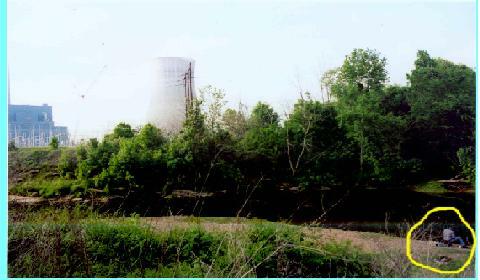 Miller Steam Plant, on the Locust Fork of the Black Warrior, emitted more mercury in 2007 than any other coal-burning power plant in the country, according to EPA data compiled by the Environmental Integrity Project. Gorgas Steam Plant ranked 28th in this category (Total Mercury Pounds Emitted: 2007). In the category of “Top 50 US Power Plant Mercury Emitters by Pounds per GWh: 2007” Greene County Steam Plant ranked 8th, Miller Steam Plant ranked 15th, and Gorgas Steam Plant ranked 19th. Copyright © 2001-2017 Black Warrior Riverkeeper Inc.